The complete guide to boosting happiness in 2018, according to science. Why would you bother increasing your happiness if you didn’t think you could be successful at it? You wouldn’t. That’s why it’s so important to build your self-efficacy — to prove to yourself that you can increase your happiness. The best way to do this is by starting with easier skills — skills like gratitude or prioritizing spending time doing fun things. Get a quick win, and you’ll be more confident that you really can change your life. You wouldn’t practice math to get better at cooking. And you wouldn’t learn another language to lose weight. 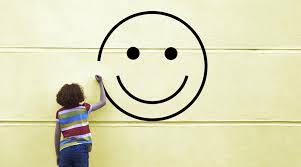 To be happier, you’ll likely make more progress by focusing on the skills that are most closely linked to happiness. In my research, the skill that usually turns out to be most closely linked to happiness is: positive self-views. Learning how to feel better about yourself — for example, by imagining your best possible self, noting your positive qualities, or identifying your strengths — can go a long way to increasing your happiness. 8. Take breaks from social media. Facebook tends to have a negative effect on our happiness. By choosing to take breaks from Facebook — or changing the way we use social media — we can boost our happiness. 9. Spend smarter for more happiness. How we choose to spend our money impacts what we can do and how we live in ways that impact how happy we are. When we choose a less fancy house or car — things that don’t bring us much happiness — we have more money to spend on adventures or on gifts for friends: things that actually do make us happier. When we are kind to others, we feel better about ourselves. We can do nice things for others, be empathetic, or we can just treat each other with respect, communicating kindly rather than assuming the worst. 0 Response to "How to Be Happy: 10 Ways to Be Happier"